Kuwaiti National Assembly Speaker Marzouq Al-Ghanim leaves the Assembly building in Kuwait City on Oct 16. 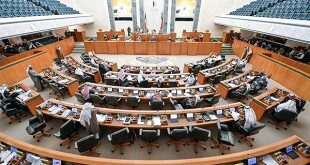 KUWAIT CITY, Oct 16: The Cabinet finalized a decree on the dissolution of the National Assembly in an emergency meeting at Bayan Palace on Sunday. HH the Prime Minister Sheikh Jaber Al-Mubarak Al-Hamad Al-Sabah then submitted the decree to His Highness the Amir Sheikh Sabah Al- Ahmad Al-Jaber Al-Sabah who approved it in accordance with Article 107 of Constitution. According to sources, the Cabinet decided to hold the emergency meeting due to what they described as “hostility of the National Assembly” over the interpellation motions submitted in bulk days before the beginning of the parliamentary term. Sources privy to developments leading to the issuance of the dissolution decree disclosed fresh elections will be held on Nov 26, 2016. Earlier, sources were quoted as saying that former Parliament Speaker Marzouq Al-Ghanim was in favor of the dissolution and he has called for it. Meanwhile, Al-Ghanim expressed appreciation for the wisdom of HH the Amir who decided to dissolve the Assembly as per Article 107 of the Constitution. He stressed that going to the polls and renewing hopes of the Kuwaitis are part of good democratic practice, indicating the people’s representatives for the next phase will be determined through the will of the voters. He thanked the prime minister and the government, wishing everyone good luck. He also thanked the journalists for their exemplary work in the last legislative round. In a related development, MP Adel Al-Kharafi pointed out that the former speaker based his position on the experience of other democratic countries where a difficult political conflict is solved by giving power back to the people through elections. It seems some MPs were not fazed by the decision as they have accepted it even before the official announcement like MP Khaleel Al-Saleh who, while leaving the National Assembly building, greeted the journalists saying, “Thank you for your services!” MP Saleh Ashour also spoke to the media and congratulated the people of Kuwait on the dissolution of the Assembly, asserting it was appropriate and necessary. 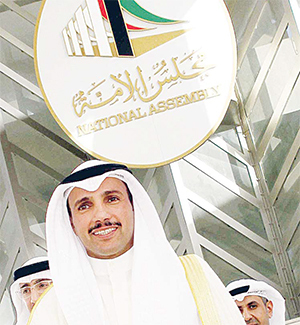 MP Ali Khamees, on the other hand, believes there is no good reason behind the dissolution. He stressed interpellation motions were submitted based on the performance of ministers. In the meantime, Minister of Public Works Ali Al-Omair and Minister of Justice, Awqaf and Islamic Affairs Yaqoub Al-Sanei submitted their resignation in preparation for the upcoming elections. 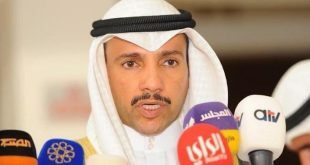 Communications Minister and State Minister for Municipality Affairs Issa Al-Kandari unveiled his plan to submit his resignation to the Prime Minister on Monday for the same reason. These ministers were elected as members of the Parliament and then they were appointed to the Cabinet.